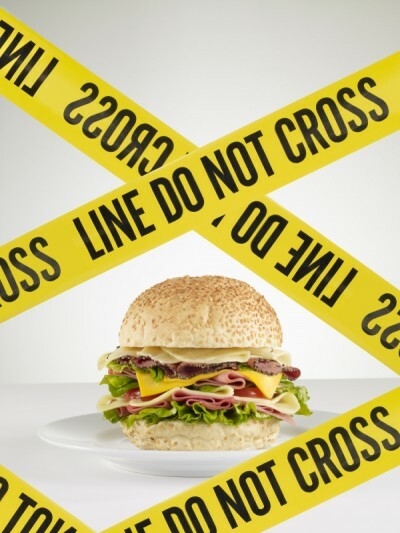 Orthorexia comes from obsession with avoiding foods that are perceived to be unhealthy. In the academic field it’s believed to be a mental disorder. This disorder can lead to severe malnutrition or even in some rare cases death. Orthorexics usually have low self-esteem, because they blame themselves rather than their diets for their constant hunger and the resulting cravings for foods they’ve labeled as forbidden. It’s a pretty serious topic, and if you follow any of the dietary advice from conventional fitness media you may very well develop this disorder yourself. The moment you label something as forbidden, you are f*cked, because sooner or later you will break and overeat on it. It’s quite a contradiction when you think about it, because orthorexia in it’s essence is an unhealthy obsession over healthy food. So instead of restricting calories, orthorexics restrict food choices that they or a perceived authority labeled as bad and unhealthy. The whole idea of Anything Goes Diet that we preach here at Adonis Index is that you can have whatever you want. Some people misunderstand this statement and think you can fast food 24/7. The idea is not to eat everything you can, the idea is that if you can limit the amount to fit in your caloric plan, then you can fill it with some things that are higher in fat, sugar and salt e.g. ice cream, burger, pizza and donuts. With this mindset you will not fall victim to labeling certain foods as bad or unhealthy and won’t develop orthorexia. Why People Want to Eat Healthy? 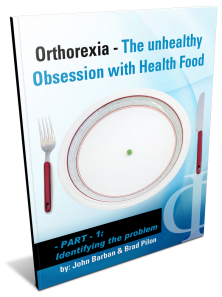 The whole issue around orthorexia is that it happens in a very specific environment, in an environment that you are most likely part off. How come that I’m so sure you are part of that environment? Well, if you weren’t you couldn’t be reading this article, because you couldn’t afford a computer or iPad. Orthorexia is an issue that appears in modern societies where there’s an abundance of food. There seems to be a big contrast in the food availability. It’s pretty hard to find a country where there is not enough food for everyone to have a balanced diet. In most cases, people are starving or they have an over-abundance of food (i.e. 3rd world countries vs. Europe and US). The abundance of food coupled with our highly modernized society influences people to live a healthier lifestyle. Of course there is nothing wrong with that, it’s just that human nature tends to want to take things to an extreme level. What do we want to achieve with our lifestyle? Why do we search for better choices in our lives when we can buy everything we desire? Let’s kick off this month of uncensored with a very fundamental question. Why do you want to eat healthy? Just STOP and think about it. The answer is not simply, because you want to be healthy. Do you want more fulfilling life? Do you want to be healthy so you can see your grandchildren? What’s the reason for you to search for better options in your life? And that can ultimately lead you to developing disorders like orthorexia? The truth about how people make their food preferences, it it because they want to eat those foods or because some dietitians put importance on certain items?